Happy May 1st with May's calendar! How was your day today? Did you welcome May and spring? 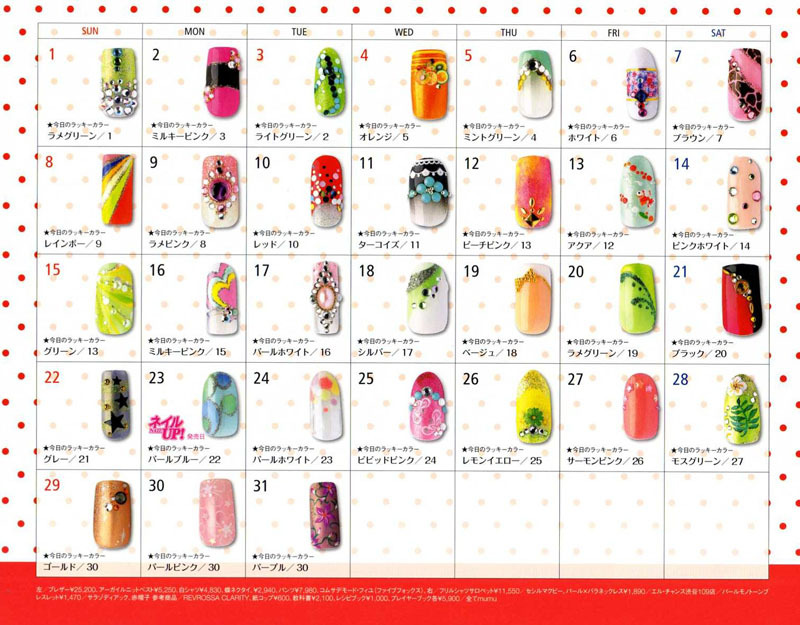 I had a fabulous day and now that I am back home I want to share the nail art calendar for May! 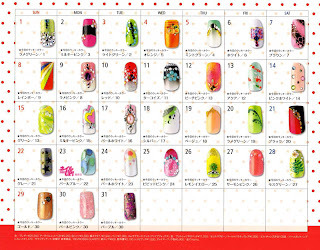 For one more month Nail Up! didn't disappoint. All the designs are so fresh and cute! First paint your nails in a white glitter colour. 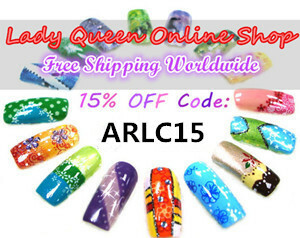 Then paint the tips with a green colour, creating a french manicure. Using pink and silver paint the checkered design and then add holo sparkles on the edge finalising the look! What do you think of this month's look? I loved this tutorial, I want to give it a try although I fear I will fail horribly at it! Thats awesome! Where do you get that magazine? I don't care if it's in a different language lol. I would love to try 16 and 31, these are some awesome design! !